The 2017-2018 season holds several exciting debuts and returns for Ms. Sterrenberg. She begins the season with her home company of Opera Philadelphia as Pamina in their highly anticipated East Coast Premiere of the Barrie Kosky Die Zauberflöte, as part of their inaugural Festival O17. 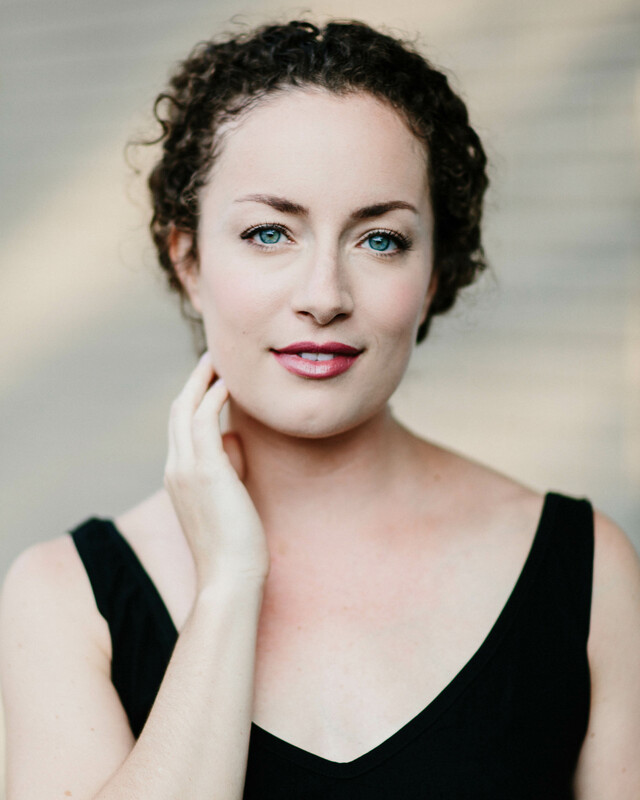 She goes on to sing Annina (La traviata) in her company debut with The Dallas Opera, and returns to Madison Opera for their new production of Daniel Catan’s Florencia en el Amazonas, portraying the role of Rosalba. She is also slated as a featured guest with the Oregon Mozart Players for a concert of Mozart lieder and Mahler’s Sympony No. 4 under the baton of Maestro Kelly Kuo. Last season, Rachel presented her signature role of Chan Parker in Charlie Parker’s Yardbird with three opera companies: Madison Opera, Lyric Opera of Chicago, and English National Opera to critical acclaim. In the 2015-16 season, Rachel joined Opera Philadelphia for a second year as an Emerging Artist. She performed Annina in their production of La Traviata and Sara in the highly anticipated East Coast Premiere of Higdon and Scheer’s Cold Mountain. Ms. Sterrenberg was named an inaugural Emerging Artist with Opera Philadelphia for their 2014-2015 season. She made her professional debut with the company in the World Premiere of Schnyder and Wimberly’s Charlie Parker’s Yardbird as Chan Parker, wife of Charlie Parker (sung by Lawrence Brownlee). Rachel also appeared with the New Jersey Symphony Orchestra and the Curtis Chamber Orchestra under the batons of Jacques Lacombe and Robert Spano, respectively. She then spent her summer with Opera Theatre of Saint Louis as a Gerdine Young Artist. Sterrenberg was featured in lead soprano roles with the Curtis Institute Opera Theatre including the title role in Tchaikovsky’s Iolanta, Anne Trulove in The Rake’s Progress, Adina in L’elisir d’amore, Blanche de la Force in Dialogues des Carmélites, Pamina in Die Zauberflöte, Mrs. Coyle in Owen Wingrave, and Armida in Rinaldo. Other roles during her tenure at the Curtis Institute: Contessa Almaviva (Le Nozze di Figaro) with the Princeton Symphony Orchestra and the complete workshop of the role of Ada Monroe in Pulitzer Prize winner Jennifer Higdon’s premier opera, Cold Mountain, which is commissioned by Santa Fe Opera, Opera Philadelphia, and Minnesota Opera. In 2014, Sterrenberg was awarded second place in the Mid-Atlantic Region of the Metropolitan National Council Auditions after winning in the Philadelphia District. Rachel is a first place recipient of the Alltech Undergraduate Vocal Scholarship, the Peterson Vocal Competition, and the Strauss Award in the Orpheus National Vocal Competition. Other notable awards include being a winner of the Kentucky District Metropolitan Opera National Council Auditions and the Encouragement Award for the 2012 MONC Mid-South Regional competition. Rachel is most recently a recipient of the prestigious Shoshanna Foundation Grant. Rachel Sterrenberg currently resides in Philadelphia, Pennsylvania. She received her Bachelor’s Degree at the University of Kentucky and her Master’s Degree in Opera at the Curtis Institute of Music.